Peroxisome proliferator-activator receptor delta(PPARD), a ligand-activated transcription factor, belongs to the PPARs family, which get its name for their chemicals that induce proliferation of peroxisomes, organelles that contributes to the oxidation of fatty acids. 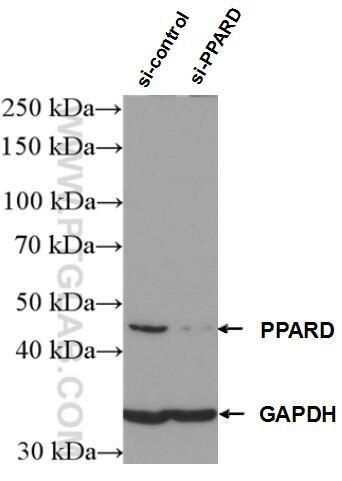 PPARD is a receptor for peroxisome proliferator and once activated by a ligand, it binds to and activates the promoter elements of target genes, such as acylCoA oxidase gene. But it act as a repressor for the NPC1L1 gene. A proteomics landscape of circadian clock in mouse liver.